Today you can find ladies that appreciate firearms as much as any guy and the Womens Pink Pistol T-shirt is a prime example of that. This daring and stylish clothing item will allow your girl to show off her love of handguns. Carefully crafted from a cotton polyester blend this is a comfortable and daring t-shirt. 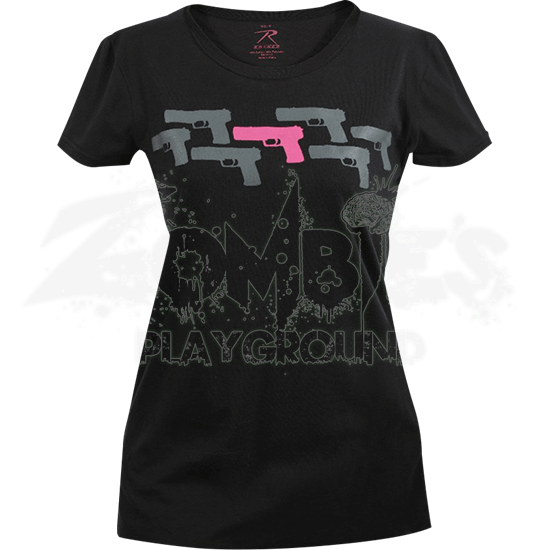 Featuring a collection of handgun silhouettes it is easy to know that any girl wearing this is not afraid of weaponry. Six of the handguns are gray while the center gun is a vibrant pink, they create a banner that runs across the chest of this item. 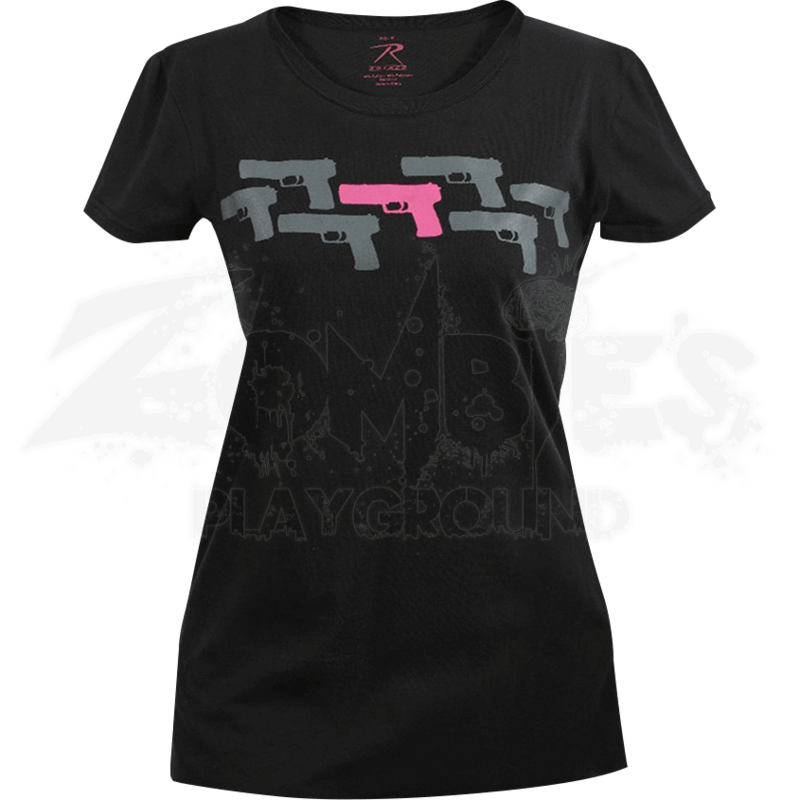 Let the ladies show their support for gun rights with the stylish Womens Pink Pistol T-Shirt.